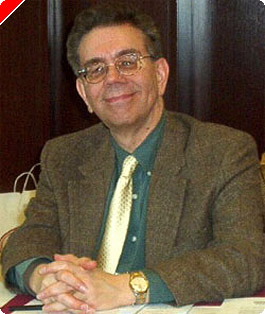 This article originally appeared on Pokernews.com, January 16, 2007. When contemplating a middle game double, don't make the mistake of looking only at your position. Remember to look just as carefully at the weaknesses in your opponent's position. It may be his weakness, rather than your strength, that gives you a good double. His back men are split and vulnerable to potential blitzing rolls like 66, 55, and 44, both now and on subsequent rolls. If his two back checkers were anchored on the 23-point or the 22-point, the position wouldn't be a double. His front position is still chaotic and will be for a couple of turns. If he had a small 4-prime or even a good board with, say, the 4-point and 5-point made, he'd have a threat to contain any checker hit on the next couple of turns, and Black wouldn't have a double. 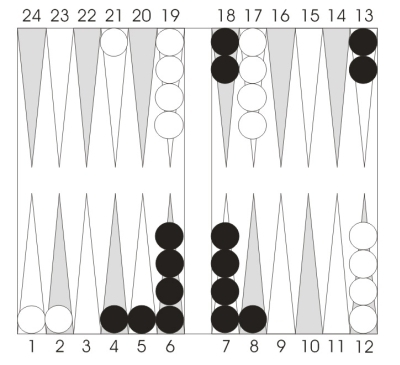 But with both these weaknesses, White's game is toothless enough so that Black has a very solid double. White still has a clear take of course. Black is off to a decent start in Position 2. He's got a good defensive anchor, while on the offensive side he haswellsomething. He's got great points slotted, and next turn he might actually cover one or two of them. The key to the position is not Black's game but White's. While Black has something, White has a bit less than nothing. No points, just blots. Something versus nothing is a good prescription for an early double, especially if the defender doesn't have an anchor. Without an anchor, there will always be variations where things go terribly wrong and Black's messy position turns into a powerful blitz. Did you stop to guess what Black's cubeless gammon chances were in Position 2? If you did, did you realize they're over 25%? Numbers like that almost always guarantee not just an initial double, but a strong and mandatory initial double. 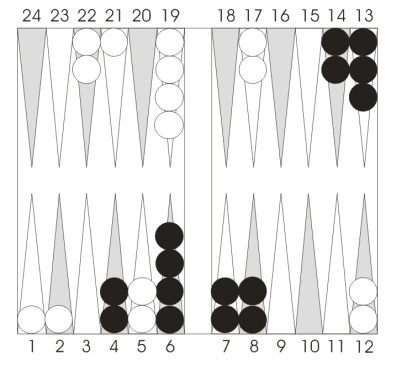 Black's checkers aren't just passive slots. They're also potential attackers, which can be activated by a single good sequence. Couple that with a rock-solid defensive anchor, and Black has a great double. Clear take, of course. There are plenty of variations where things don't go so well and White recovers quickly. Next time: Build or Hit?